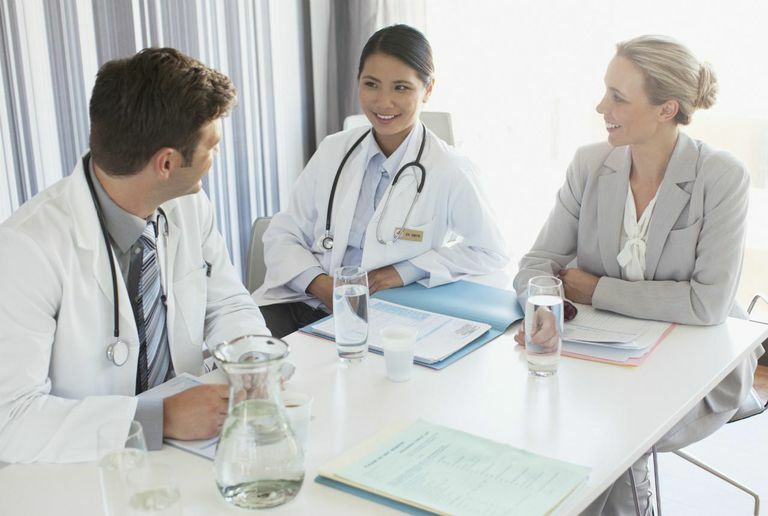 A medical science liaison is a person who acts as a bridge of communication between clinical medicine and other areas of the healthcare industry such as pharmaceutical or medical device manufacturing. The medical science liaison is a somewhat of a spokesperson and educator, with a bit of clinician and salesperson mixed in. Learn how to become a medical science liaison and what it requires. The competition for roles as a medical science liaison is very tough, as with most non-clinical roles for former clinicians or scientists. Clinical roles are almost always easier to obtain than non-clinical, due to supply and demand. In addition to tough competition for MSL jobs, there are many barriers to entry for becoming a medical science liaison. Most MSL professionals not only have a Ph.D., MD, or other graduate-level education in nursing or other life science, but they also possess at least a few years of full-time clinical experience. According to MSLcareers.com, most employers require a doctorate-level degree. Due to the high level of education required to become an MSL, most medical science liaisons positions start in the low six figures ($100,000+) and go up from there, commensurate upon experience. In addition to the high-level educational requirements, most jobs require a minimum of two years of experience as an MSL, which presents a dilemma for many people seeking to break into a role as a medical science liaison. This is when enlisting the help of a mentor, or networking with existing medical science liaisons can come in handy to help get your qualifications noticed by the right person at the right time. For example, there is a networking group on LinkedIn.com devoted to professionals who wish to become medical science liaisons. Additionally, medical science liaisons must have excellent oral and written communication skills, presentation skills, and overall interpersonal and rapport-building skills. In addition to the barriers of entry into a career as a medical science liaison, job stability can also be a concern. While clinical roles in patient care are often revenue producing roles, MSL roles typically are more of an "overhead" position, rather than a revenue producer. This may cause one's career as an MSL to be less secure than that of a practicing physician, for example. However, due to the demand for MSLs to fill in for the duties that are being prohibited in pharmaceutical sales reps, MSL positions may soon transform into one that can directly increase revenue instead of costing the employer money. The most common employers of medical science liaisons are pharmaceutical companies, medical device manufacturers, or other companies that provide products or services to clinicians and medical facilities. Often, an MSL will work "in the field" as opposed to in the office of the employer. A medical science liaison will be out traveling, visiting with clients, such as hospitals, medical offices, and physicians, as opposed to spending time at the corporate headquarters.